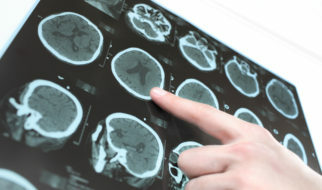 PET or CT-PET Brain Imaging is a newer technique used to diagnose Alzheimer’s disease and other forms of dementia. It is a scan that uses a traditional CT scan and a PET scan of the brain at the same time. The images show how well the brain is functioning. If Alzheimer’s is found early, it might mean treatment can be started earlier. To learn more about Alzheimer’s disease treatment, click here.